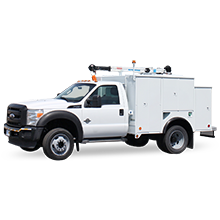 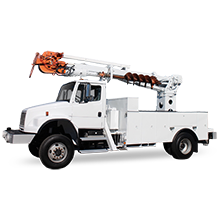 Bucket trucks (also called boom trucks) are a major component of any fleet of equipment performing utility pole repairs and other work at heights. 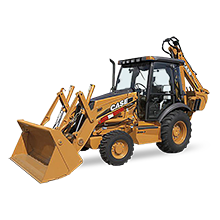 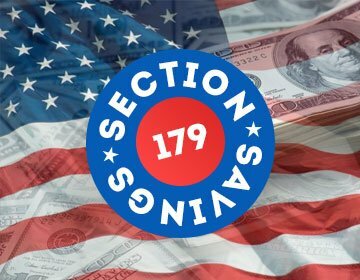 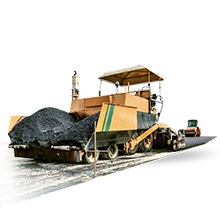 As with all heavy equipment, buying used offers a number of key advantages, chief among them saving the initial depreciation that occurs in the first month after purchase. 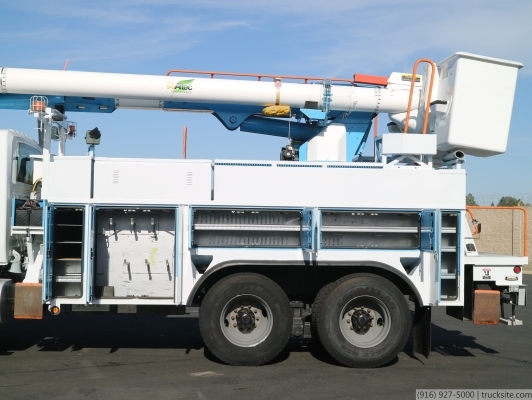 Truck Site has a great selection of used bucket trucks for sale at our Sacramento location. 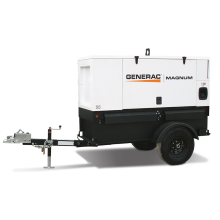 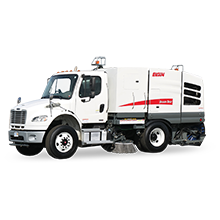 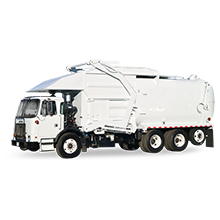 Read on to learn more about what makes us the ideal partner for expanding your fleet. 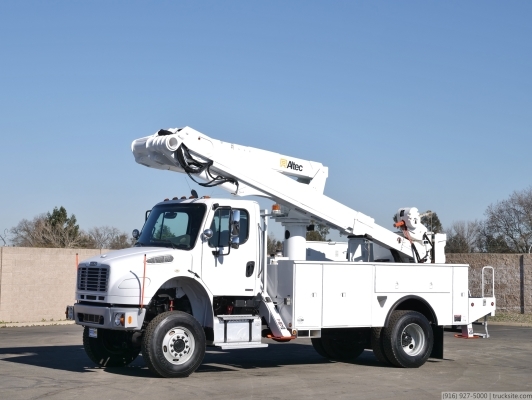 Boom type: Bucket trucks typically employ either an articulating or telescopic boom. 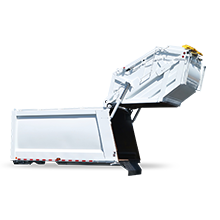 The former is better suited for work in tight spaces, whereas the latter has a greater horizontal reach, making it a better choice in certain applications. 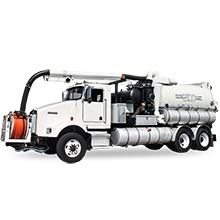 Bucket design: Boom truck buckets are fairly straightforward, though some considerations should be made before purchasing one. 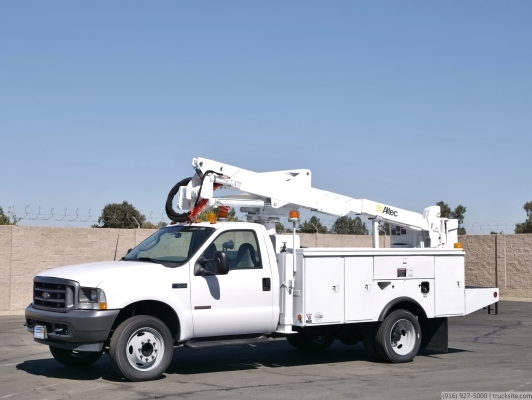 For example, utility line work comes with the risk of exposure to electricity. 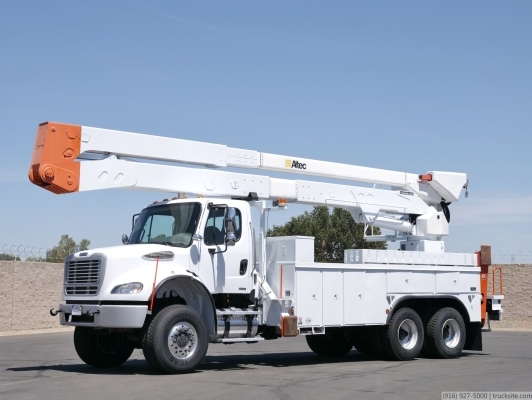 As a result, buckets and booms must be properly insulated to protect workers. 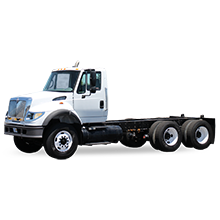 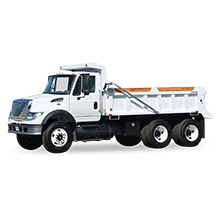 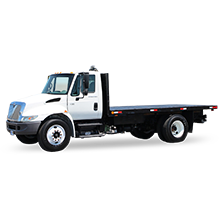 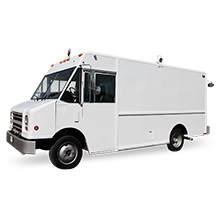 Body material: Boom truck bodies come in steel, aluminum, fiberglass and other materials. 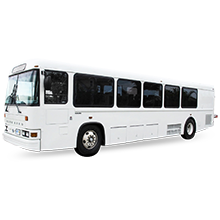 Each has its own benefits and drawbacks. 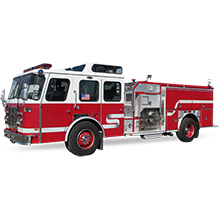 When making a purchasing decision, it is important to balance the advantages of using a lighter material against the added durability steel provides. 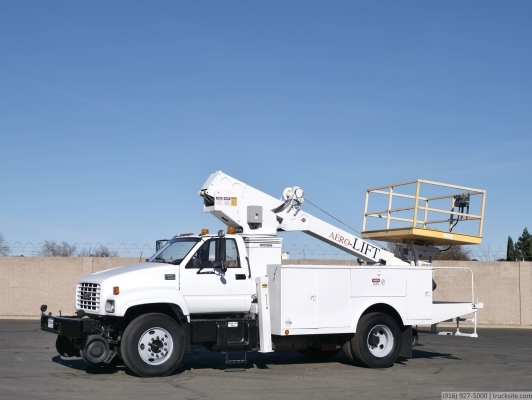 Bucket trucks come in all shapes and sizes, and they are capable of providing lifts anywhere between 20 and 150 feet. 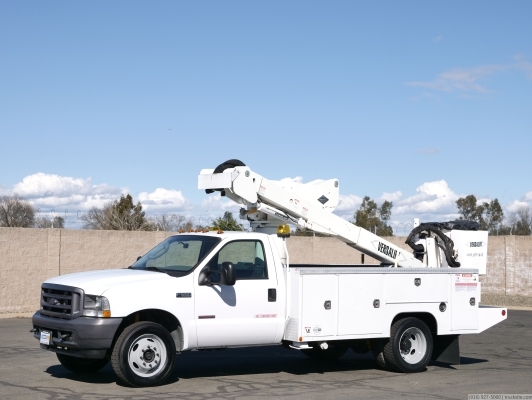 Of course, your specific working requirements will play a large role in determining which type of bucket truck to buy. 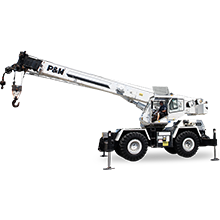 Boom trucks feature a large boom that is counterbalanced to provide additional support when lifting horizontally or vertically. 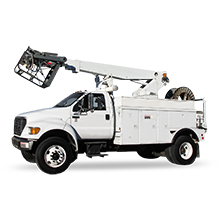 Cherry pickers are known for their single-person enclosures and are most commonly used for utility pole work. 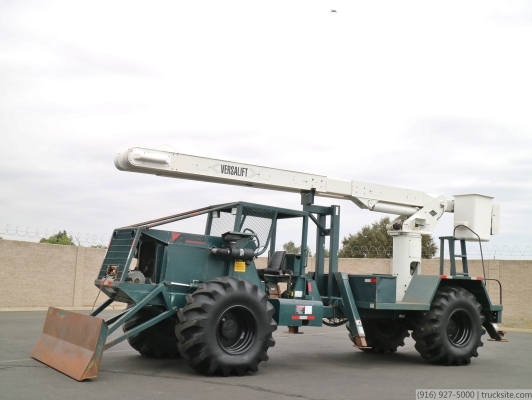 Aerial lifts are similar to cherry pickers but generally only rise in one direction. 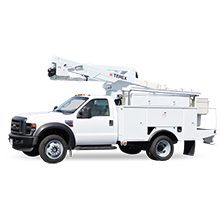 The best way to determine the right bucket truck configuration for your needs is to contact a Truck Site representative directly. 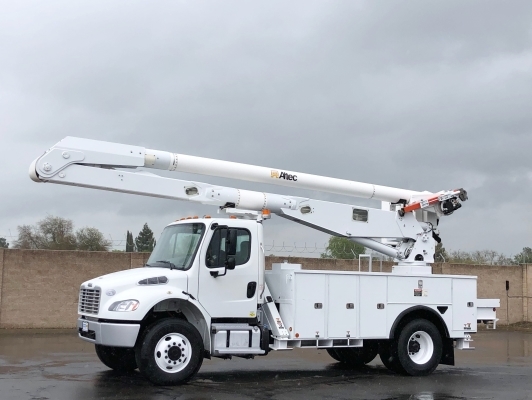 We have more than a decade of experience matching contractors and fleet managers with some of the best used boom trucks for sale in the country. 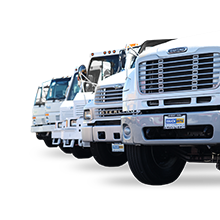 Call or email our office to get started today.